It is not uncommon for games to miss their initial release dates. Delays happen all the time, and in many cases those delays prevent a game from being released with glitches, rushed graphics, or a dozen other problems that could have been fixed with just a bit more time. You can now add Dead Rising 2 to the list of games that have been pushed back, but no reason has been given. Originally scheduled for an August 31 release, Dead Rising 2 will now launch on September 28. Capcom has not announced whether or not this will affect the Dead Rising : Case Zero download, an Xbox Live exclusive DLC that acts as a prequel to the upcoming game, as well as a demo. Case Zero features Chuck Greene, the hero of the second game. 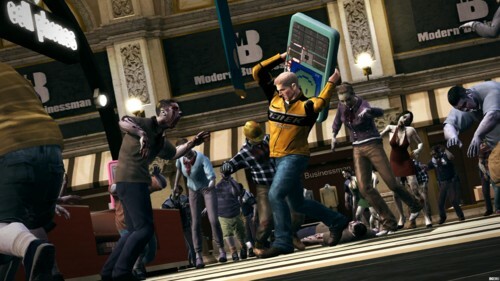 It takes place three years before the events of Dead Rising 2,and shows Chuck’s first encounter with the zombie hordes. If the problems are more than just minor polishes, the delay could be bad news for the eagerly awaited sequel. We’ll have to wait until September to find out.